A course designed for health therapists and all those working in health care that want or need to develop a deeper understanding of the human body processes and maintenance of health. 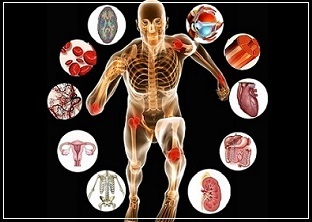 Review basic functioning of the tissues within the body such as bone and muscle. Describe the significant systems and the functions of those systems of the body. Describe the functional characteristics of the nerve cells and nervous system. Describe the functioning of hormones and how they control body functions. Describe the functioning of the heart, blood, and blood vessels in the cardiovascular system. Describe the significant functions of the body’s defence system and the cells of the immune system. Describe the significant functions of the respiratory system and the air passages and lungs. Describe the function of the kidneys and the renal system in the human body.